You may know March best as the month when basketball fans' most anticipated event takes place – March Madness. While watching some of the sport's best college athletes go head to head in a whirlwind of tournaments is definitely an emotional rollercoaster ride for avid college basketball enthusiasts, March brings another kind of madness that shouldn't be ignored, one that can wreak havoc on your home if you're not careful. If your gutters and downspouts are clogged with debris, this can end up causing serious water damage to your house, according to HGTV. Aside from cleaning them, you should also check to see if there are any loose components or leaks that would cause rain water to drain into your home's foundation. Make sure that your downspouts are carrying water at least 3 or 4 feet away from the exterior of your house. Otherwise, you may have to deal with a flooded basement down the road. Ensure your sump pump is also functioning properly in the event that water does make its way into your basement. Don't let your heating, ventilating, and air conditioning system give you grief this spring. Inspect your filters to ensure they haven't become clogged with dirt throughout the winter. Dirty filters make your air conditioner work harder, which ultimately increases your home energy costs and damages your equipment over time. Check on your filters at least every three months to make sure they don't need to be replaced. 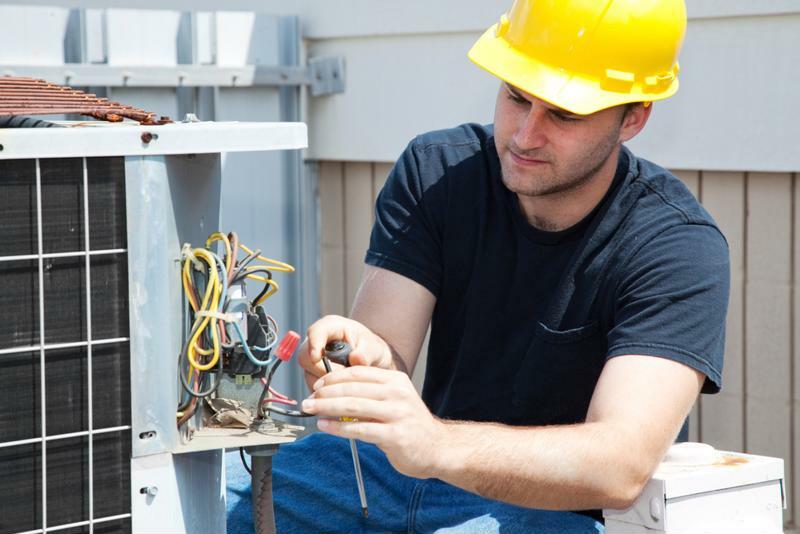 If you have a warranty plan and find your HVAC system isn't working due to wear and tear, a professional technician will come and repair the problem. Other maintenance to your HVAC system should include removing any algae or sediment from your drains, as this buildup can prevent the moisture your air conditioner has collected from running off as water outside. This will cause your living space to become humid and can eventually lead to water damage. Cleaning the coils on the outside of your machine will also ensure it's working efficiently. After a few months of freezing temperatures and snow, the exterior of your chimney may have experienced some damage. If you notice anything amiss, or simply used your fireplace frequently throughout the winter and feel that it should get a thorough cleaning, have a certified chimney sweep inspect and clean the flue. The sweep will check to see that your chimney caps are secure and that the damper is functioning as it should. If you have a wood-burning fireplace, it's recommended that you close the damper if you don't plan on using your fireplace for a while. As the outdoor temperatures begin to climb, this is one of the best ways to save energy. Inserting a draft stopper will also conserve energy once you decide you're done using your fireplace for the season. Bill Richardson, former president of the American Society of Home Inspectors, told Kiplinger that it's important to check for gaps between your doors and walls. If you find any cracks that are wider than a nickel, apply exterior caulk. Weatherstripping your doors will also ensure that no cool air from your air conditioner is escaping once it starts to get warmer out. Properly caulking any gaps now will ensure you won't have to repeat the process in the fall. Let spring be all about sunshine and blooming flowers this year. Perform the necessary seasonal maintenance and rely on a warranty plan from TotalProtect when your tender love and care isn't enough and your HVAC, sump pump and other important systems break down from frequent use. By joining our team, you're saying goodbye to all of your home-related March madness and hello to a safe and comfortable living space where you can root for your favorite team with some peace of mind.